This is going to sound weird as hell, but I had the radish leaves of my life at Spencer. It whispered to me that Michigan soil just might have something to show for itself. Having dallied in San Francisco thinking to find their place in the kitchen and in dining hearts, Steve Hall and Abby Olitzky decided to return to where they could make the most difference. Hello, Ann Arbor. Celebrating just one year in their functional spot—an old pancake house—their impact is obvious. The place is packed and they’ve brought natural wine to town. Chef (with a pastry background) Abby’s food is totally original and unselfconscious. 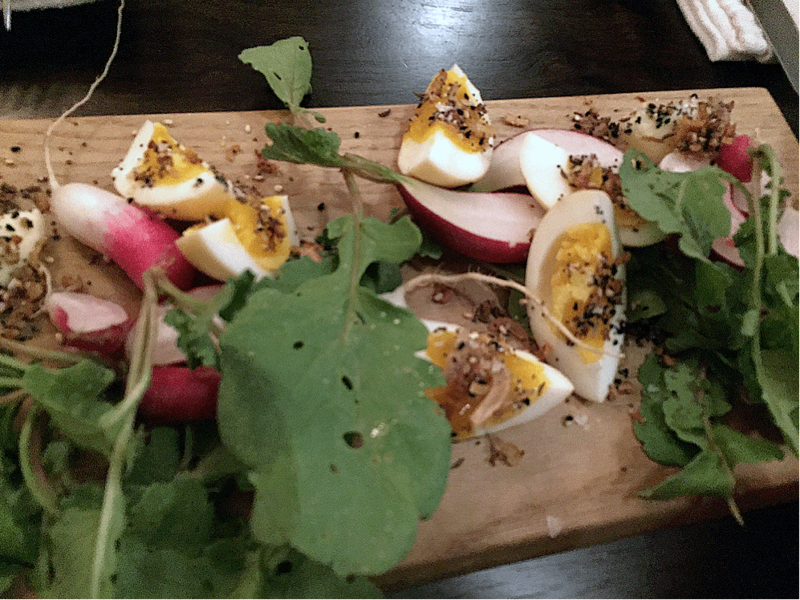 Radish and dreamy pickled eggs. The food reminds me of my own. Great ingredients, a love of spice and heat but chef Abby knows how to do it better.